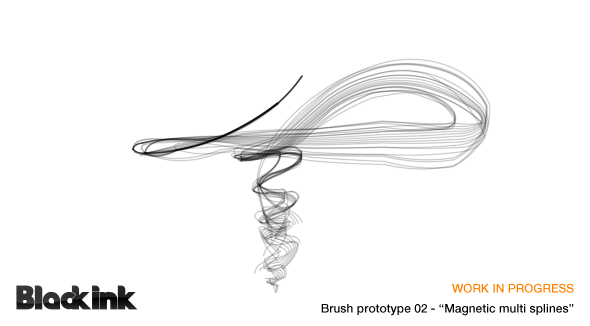 This features will be available for all brushes. This system will modify the course of the line in real time accordingly parameters (and controllers). For example this stroke modifier is adding a SinWave to the current position. Or this one is computing a rotation orbit around the current position. This modifier is helpful because he keeps the continuity of the tracing without any crack or hole in it. 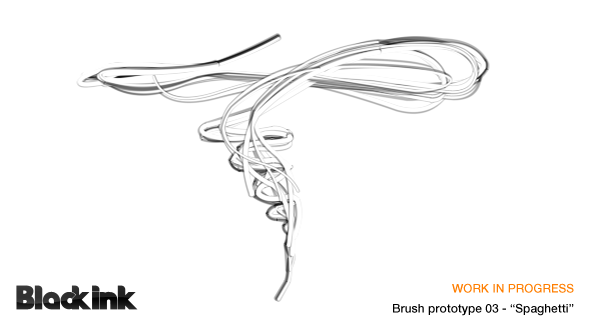 Furthermore In the next version of Black Ink a new brush type will be introduced: the SimpleCurve which will render a smooth continuous curve and not a following of shapes like all brushes (except the Crepe) in Black Ink now for a better performance and homogeneity in the rendering. The caveat is its not 100% perfect if there is some transparency and if the brush is really big (due to self-overlapping) but for thin lines it is excellent (in result and performance). Hi guys, I just bought Black Ink and made my first drawing with it. I find it quite promising, thanks for your work ! This is really awesome. Can you give some insight as to how it is controlled? 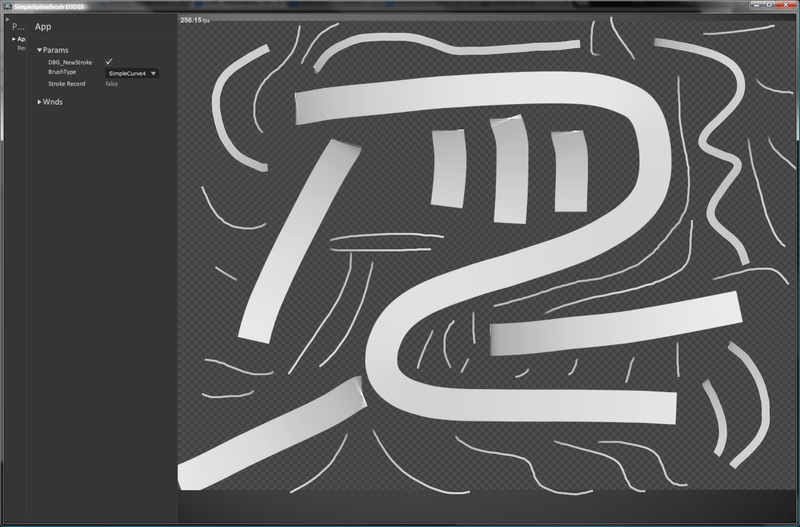 I was wondering if it would end up as two brush parameters, scatter distance and scatter direction (angle). Maybe 3 with x and y direction parameters? 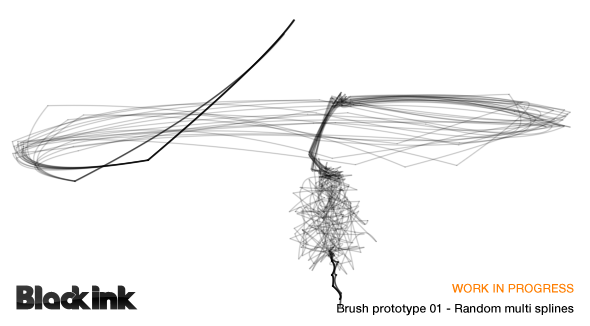 Was also wondering if you would create point-based, growing/living brushes at some point? Brushes that create points along the stroke path that spawn function controlled lines or effects? I imagine someone swiping once to create a line that generates stacking bars for, say, a sound equalizer pattern. 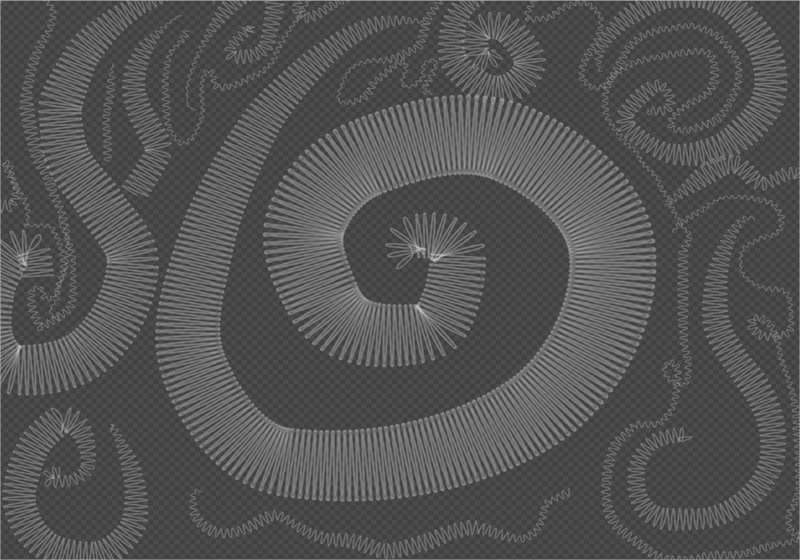 Or points that generate bifurcating lines for trees and stuff. Just have to say you all have made something really incredible with Bi. I really appreciate the program features and your interaction with the user community. maninmachine : the Stroke Modifier is a Behavior/Algorithm to change the stroke path you generate in real time. It will not generate sub stroke or child paths (this features will be something other). 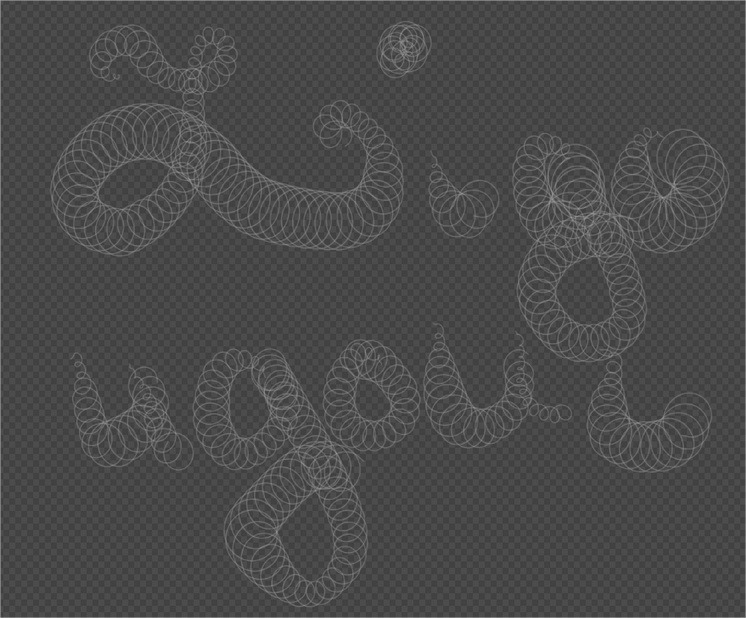 The Stroke modifier ( Like Brushes ) can use different Algorithm, that's mean you can have one which have as input a Direction and a Length for example and others which can use more complex behavior, like physics, attractors, etc..
Each parameters of the Stroke Modifier will be controlled like current brush parameters, so you wil be able to control the lenght of a sinus by the pressure or the speed. 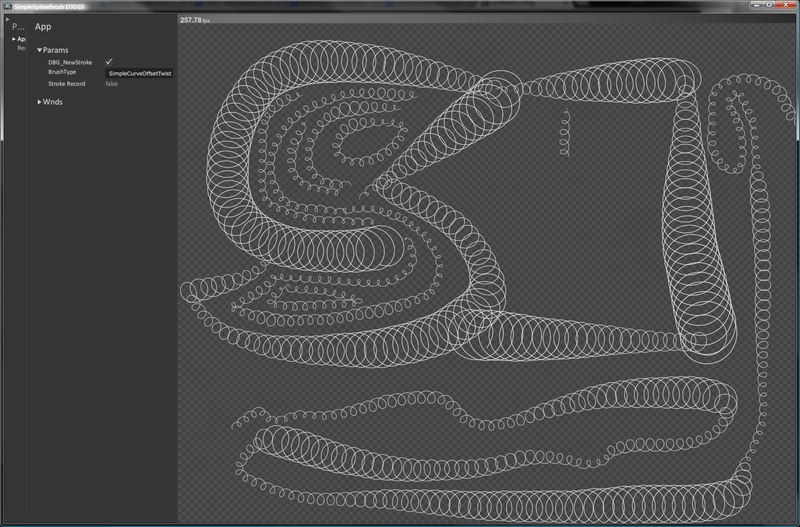 With the release of this feature we will include the 2D vector part for controllers. Which will be usefull to generate a 2D direction to perturb the stroke path. Very exciting stuff! Can't wait to try it!